I'm a friend, Texan, raconteur, thinker, doer, producer and fixer according to my business card. That thing just keeps going on and on about me, but it probably about sums me up pretty well. Additionally, I write a little bit (co-founder of Suds of Anarchy and sometimes contributor to Casual Spectator). Occasionally, I do a bit of comedy. I even co-founded my own talk show (Renaissance Person - but don't tell my co-founder I called it a Talk Show. Shhhh.) I curate some songs over at A Song A Day. Because who needs spare time? In college, I fancied myself a journalist, and I both outgrew and never outgrew that at the same time. I'm always the guy with gum. I'm always the guy that gets things off of the top shelf for you. I'm always the guy people ask for directions. I believe in the church of baseball, and I'm a devoted follower of the Cleveland Indians. And yes, that's really me doing comedy on the Comedy Cellar stage. Ask nicely and I'll point you to some of my videos. I might even show you my TEDx talk that I gave. Interested in my resume? You can download it here. Here's just a bit of the fun. * Subject to change without me noticing. Also, you know all that legal fine print about select model year Lincoln vehicles that you see in every car commercial? Yeah. It applies here too. See your Lincoln dealer for details. Or ask me. I can tell you all the ins and outs of it. When I was at Ogilvy & Mather, we created an interactive experience for IBM and the US Open that leveraged IBM's intense data and analytics capabilities to distill interesting and informative tennis and US Open information on a 15-foot touch screen. I handled the digital efforts for Campbell's Soup's Wisest Kid in the World. David Gianatoso over at AdAge just loved it. 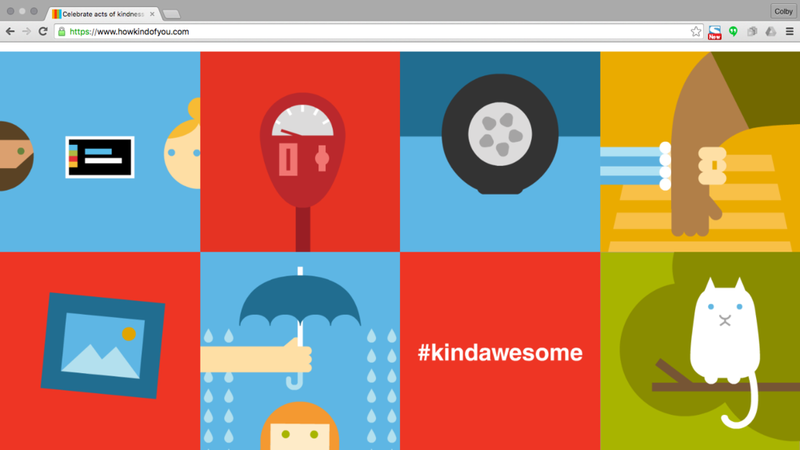 Meanwhile, at the Barbarian Group, I produced KIND Snacks' digital efforts for their How KIND of You campaign. In addition to a slick and fun interface, there's also a fairly robust back end we built from scratch. There's also a ton of segmented emails this thing kicks out to users. But we made it all look so simple, didn't we? And just look at all those fun animations at the bottom of the page! Interested in my resume? You can grab it right here.